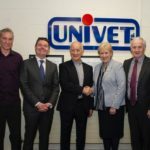 Univet Ltd., a family owned business based in County Cavan have been the main sponsor of the Growvite All-Ireland Texel Sheep Championship for a number of consecutive years. 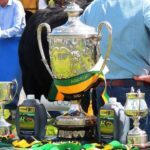 The most recent championship took place at the sun-drenched Gorey Agricultural Show on 17th June 2017. 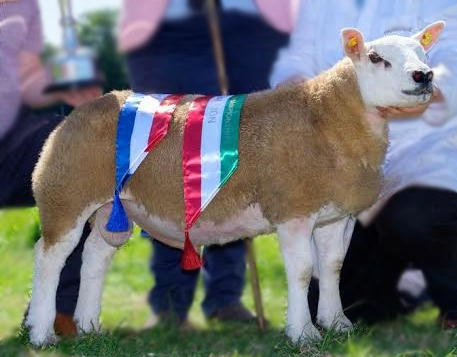 Supreme Champion was awarded to a Ram Lamb UVI1701309 sired by Tophill Wallstreet and a Strathbogie Python ewe, bred and owned by John Neville, Thornville Texels. 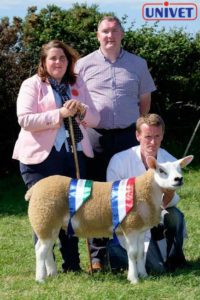 Supreme Champion UVI1701309, bred and owned by John Neville, Thornville Texels. 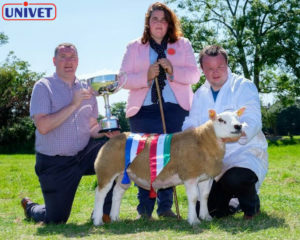 Reserve Supreme Champion was awarded to the winner of the Senior Ewe Lamb Class and the Female Championship winner DII1701294 out of Knock Yazoo and a Derrylahan bred sired Garngour Vintage ewe shown by Anthony Donnelly from Claremorris in Co. Mayo. Univet wish to congratulate all the winners on the day and in particular the Supreme Champion UVI1701309 and Reserve Supreme Champion DII1701294. 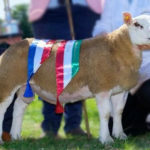 Univet produce a number of products for sheep including Growvite Sheep, Growvite Multibirth and Growvite Lamb in addition to a number of anthelmintics. Curafluke 5% Oral Drench permits a three way activity against fluke, lungworm and stomach worm and Curazole 5% can be used for the control of mature and immature forms of roundworms and lungworms. Growvite Sheep is a complementary feeding stuff providing chealated minerals, vitamins and trace elements essential for improved fertility in sheep and improved thrive in lambs and ewes. Univet produce a diverse range of products for cattle, sheep and pigs, including sterile injections, intramammaries, anthelmintics, oral powders and premixes and nutritional supplements.